His shirt and shorts are very nice reproductions by Ruthsdolls and his handsome sweater and stripy socks were knitted by Christine Durand. His shoes are by Boneka. Hello Patrick! We are thrilled that you are here with us! I love his expressive eyes and great hair. A very sweet boy. Patrick,and all of us here at Sasha Shangri-La, wish you a happy day and week to come. This entry was posted in Uncategorized and tagged Patrick, Shorts boy by mountainmullins. Bookmark the permalink. Happy St Pats…..and welcome to Patrick! I saw this gorgeous boy and am so happy you are his new mum!! I too, like SS saw this charming boy for sale on Sashadolluk (and wondered/thought that he might well be an ex lad of EC’s.) 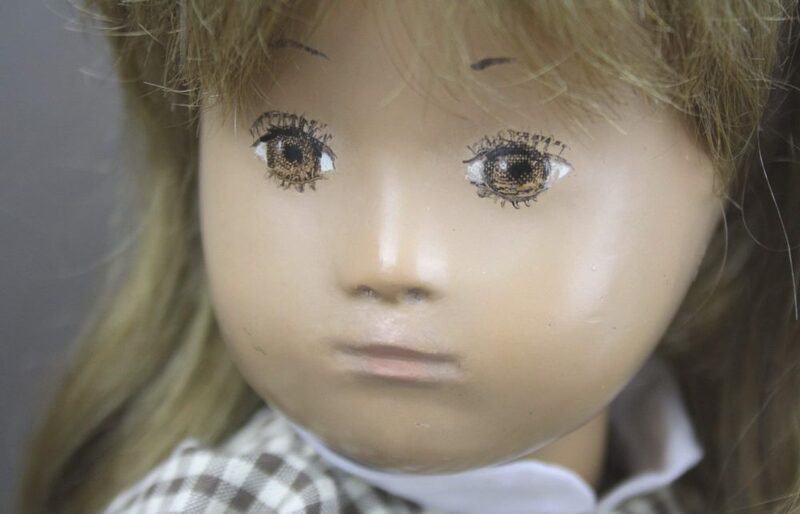 I always enjoy accidentally finding out about where some of these beautiful dolls sold via there finally go to live. I’m so pleased that he has come to live with you and all your gang out there as he can be assured of a great fun and rural lifestyle. Clever idea for his name since it was around Saint Patricks Day that he arrived with youj. Adore his waterlogue photos. Most impressive. He was indeed one of my boys, Kendal. His name with me was Oliver. What a wonderful St. Patty’s Day surprise. Patrick is a lovely redhead with those amazing NP type eyes. Congratulations to you Ginger. He’s gorgeous and looks so minty. What fun that he found his way to you on St. Patrick’s Day. I am thrilled that it was you, Ginger, who bought my Oliver from Shelly. It was too bad that he had to travel all the way to and from England to find you! But, now he has joined your family and it makes me happy to know where his new home is. He is a very special boy with his NP eyes. Oh thank you Ellen and I am thrilled too! Patrick will be Patrick Oliver now, a very nice name. I thought the same thing about his travels across the Pond and thought that he has probably traveled more than most of us…lucky boy. He is such a lucky boy! He was used to the wilds of Maine, so it will be a very nice transition for him to have room to roam and play on your farm. I bought your blonde boy with the NP eyes you named Thomas….he certainly is a well travelled boy now lives in England! I am so pleased to know where Thomas is and who his Mom is! It’s so lovely to know that you have him. It makes it easier to let a special doll go when we know where it is being loved. What a handsome boy and a great name too, a family name of mine! He is going to love living on Cow Creek, and he’ll have a good time with his new brothers and sisters I’m sure! Welcome Patrick , you have landed with a wonderful family at Cow Creek. What a handsome lad you are and I love your new little stieff bear. I see you made sure to wear a touch of the green in honour of St Patrick your namesake.